This is the poster I designed for the 2012 School Production for Rose Bay Public School. 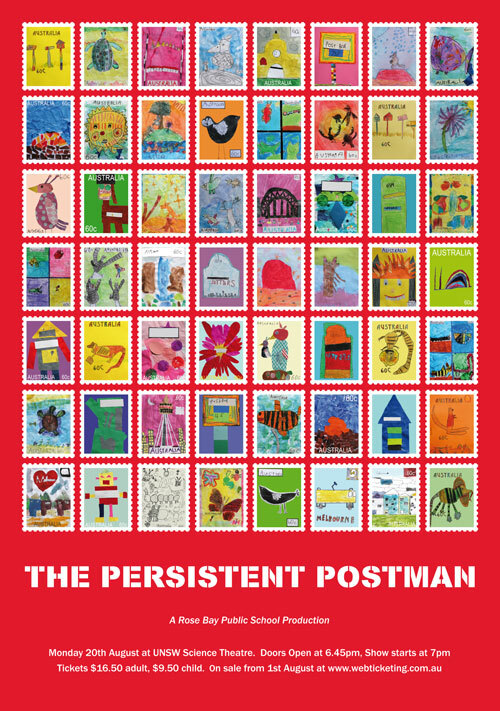 Since the show is about a postman’s journey around Australia, I asked that the kids make pictures to be used as postage stamps. The A4 stamps were exhibited on the wall on the big night, along with a great collection of postboxes we made to go with the stamps.